The founder of Muslimgirl.com writes a searing memoir of her young life as a Muslim-American girl growing up in an era of Islamophobia. 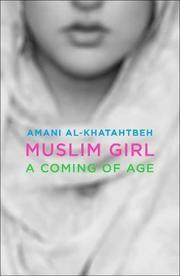 Beginning with a wise warning about the dangers of using a “single story” to define a minority group, Al-Khatahtbeh takes readers on a memorable journey chronicling her development from childhood to womanhood. Al-Khatahtbeh was 9 years old when the twin towers fell. Both the national tragedy and the backlash against Muslims deeply affected her developing sense of identity. Growing up in New Jersey, spending her 13th year in her father’s native Jordan, donning the hijab upon returning to the United States, and post-college work experiences with media outlets culminated in her full-time focus on the necessary work of highlighting Muslim women’s voices. The development of her brainchild, the collaborative blog and media outlet muslimgirl.com, takes center stage in the second half of the book. Her work has inspired many, and now the story of how she arrived at it can inspire as well. The occasional lack of narrative flow barely detracts from the vital message this book brings to the national conversation. Al-Khatahtbeh’s perspective details the impact of our political climate on the identities of our youth and demonstrates the need for outlets like the one she founded. Part political essay, part open love letter to little girls growing up afraid to claim their identities, this fresh memoir is an important read for Americans of all backgrounds.